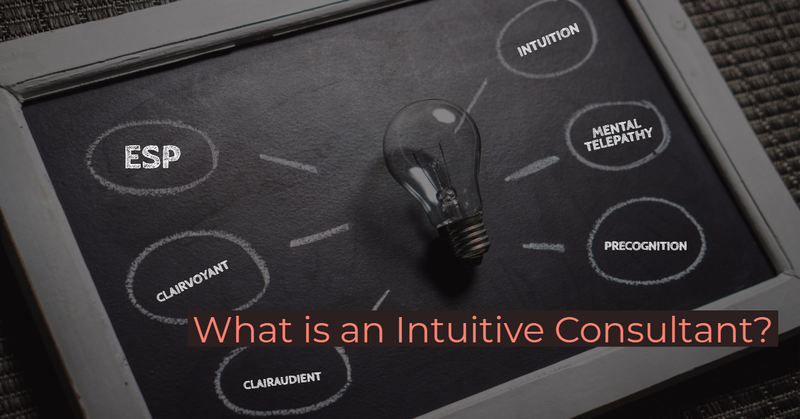 What is an Intuitive Consultant? An intuitive consultant can be an Intuitive Career Consultant, an Intuitive Business Consultant, an Intuitive Therapist, Intuitive Counselor, Intuitive Life Coach or simply a psychic. Parapsychologists define extrasensory perception (ESP) as the umbrella term for; clairvoyance, precognition, clairaudient, mental telepathy and intuition. Depending on the sensitivity of the intuitive consultant or psychic, they will likely use two or three skills simultaneously. The art of intuitively accessing information in ways that expand the boundaries of ordinary realty has been labeled the world’s “second oldest” profession. People exercising this ability have been variously called oracles, shamen, seers, clairvoyants, mediums, psychics or simply intuitive consultants. Some cultures have bestowed upon them positions of power and authority. In others they have been relegated to the fringes of social relevance. As a group, they have never been far from controversy. For it knowledge is power, then “inside” knowledge can be perceived in ways that, however disguised, rais issues of fear. Today’s intuitive consultants/psychics have come along way. But the road has seldom been easy. In the days of Imperial Rome, the Senate once required that no law could be passed until the official oracles had been consulted. But, being an “oracle” in Salem, Massachusetts, was a sure way to find oneself on trial for practicing witchcraft. Great minds have often express a strong interest in psychic practices, among them, Francis Bacon, Isaac Newton, Thomas Edison, Henry Ford and Carl Jung. Even the billionaire Commodore Cornelius Vanderbilt sought out psychic and intuitive advice, with Victoria Woodhull, a clairvoyant. She traveled with her father,”Buck” Calflin and her sister Tennessee presenting their skills in a spiritual medicine show. Victoria gave psychic readings and eventually connected with Commodore Cornelius Vanderbilt. She gave him psychic advice and he helped her make a fortune in gold. It is becoming increasing difficult to ignore such interests of the information one can gain from consulting with an intuitive consultant. Across America and abroad, in research laboratories, university classroom, select government circles, private homes and professional offices, understanding and accessing the higher reaches of intuition is becoming a primary agenda item. Unlike traditional therapists, they are not going to expect you to tell your life story. Rather, the good intuitive / psychic consultants will be able to “intuitively assess” opportunities you may be missing. Or, to provide useful insight into your life. Insight that can bring to you awareness and alternatives to situations that concern you, like your business, career or relationships. An intuitive consultant can ease fears about changes you are considering or confirm your own intuitive feelings about a situation. AYRIAL is an invitation-only association for leading professional lifestyle consultants and life coaches. Do I qualify? Why Consult with an Intuitive Consultant? We all make decisions and contemplate choices on a daily basis – from the mundane to more complex matters. Should I sell my house this year? What’s missing in my annual business plan. Should I move my mother to a nursing home? Is it a good time to change companies? Perhaps you are launching a new company or have developed a new marketing plan. In this instance, you would want to connect with a Business Intuitive Consultant who can provide insight to help you make a more informed decision It would be beneficial to know the probabilities of the marketing plan you want to implement and the potential outcomes. Why seek out an intuitive consultant? Because we want more information to help in our decision making process! Executives and business owners, may seek out intuitive insight about their organizations, what to anticipate in the coming year, or wanting information on more pressing matters. There are Intuitive Consultants who focus on Personal Relationships & Counseling, Career Guidance, Grief, and lifestyle concerns, in this article we are focusing on a Business Intuitive Consultant. “I consulted with an intuitive business consultant with the names of four investors who represented a half-million dollar investment into my printing company. My intuitive consultant told me what each investor would potentially invest and how everything would materialize. And, he said that one year after I got a signed contract, the investor would want out of my business. I could go on with dozens of other client stories, but what’s important, is an intuitive business consultant can provide insight – accurate insight – that can awaken and stimulate fresh ideas and offer new solutions to old problems. What Should You Hope to Achieve? When you schedule a session with an intuitive consultant, it’s a good idea to prepare for your session. Afterall, you’re about to invest an hour of your time along with a handsome fee – you want to maximize your time. First, ask yourself what you hope to achieve, then jot down a few specific questions that you would like answers to. You don’t need to share your questions in advance with the intuitive consultant, but you want to prepare as you will likely have time to ask questions that may not have been answered. Not everyone needs a list of questions, sometimes it’s simply nice to get a fresh perspective about your company, career or relationships to see what’s in store in the near or distant future. At a minimum you hope to confirm your own intuitive confirmation. Also, don’t be afraid to press for elaboration on issues the intuitive consultant has presented. The overall quality of your intuitive session is going to be a function of the clarity of the intuitive consultant or psychic, what your “Higher Self” or “Higher Consciousness” wants you to know, and your present state of mine. The depth of the intuitive or psychic session is also dependent on how tuned in to you the intuitive consultant or psychic is, and his or her ability to interpret their intuitive impressions. How Do Intuitive Consultants Work? Every intuitive consultant, whether they focus on relationships, career or business has their own, unique style. They each receive their extra-sensory perceptions differently and interpret those flashes of insight, images, feelings based on their own knowledge and experience. In other words, if you consult with an Intuitive Consultant whose focus and experience is on personal relationships, they may not be the right choice if you’re looking for business insight. For me, I have focused primarily on business and career consultations for over twenty years. Ever hear of the cold reading? A cold reading is where an intuitive consultant or a psychic relays their intuitive impressions before answering questions. I prefer to start a session with a “cold reading”. I relay spontaneous impressions, some of which makes immediate sense to the client, while other information may not make sense for weeks or months later. I think this approach is the beauty of an intuitive session. We’re all looking for that golden nugget that can compel or propel us where we want go – to reach our goals – to help us succeed. Other intuitive consultants may prefer to focus specifically on your questions or concerns. There’s no right or wrong way to have an intuitive consultation. However, you do want to leave a session with new insight and alternative options. Any Insight you chose to embrace should be used as an adjunct to your own fact and logic. Keep Inspired with AYRIAL’s Alexa Skills!